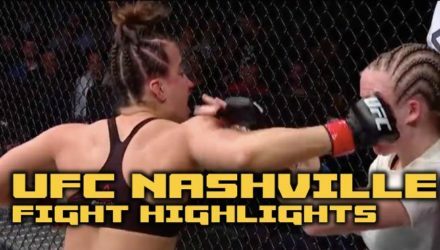 Check out the full UFC Nashville fight highlights, where both Anthony Pettis and Maycee Barber battled through adversity for stunning finishes. 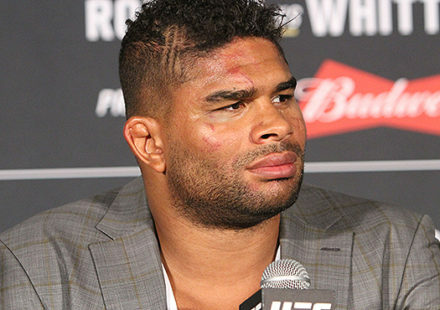 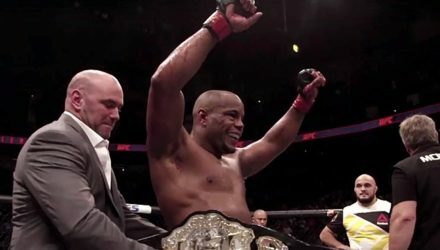 Following UFC on ESPN+ 6 on Saturday in Nashville, the fight promotion announced the recipients of the fighter bonuses. 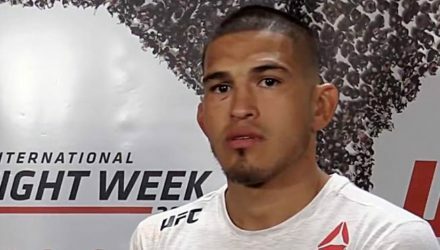 Former lightweight champion Anthony Pettis made his welterweight debut on Saturday in the UFC Nashville main event and stunned the crowd inside Bridgestone Arena. 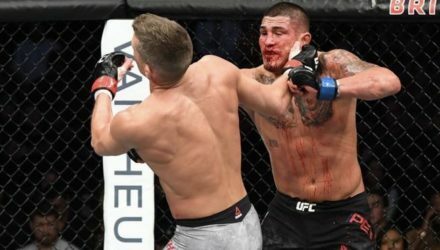 Anthony Pettis got his welterweight career off to a huge start on Saturday night with a stunning second round knockout against Stephen “Wonderboy” Thompson. 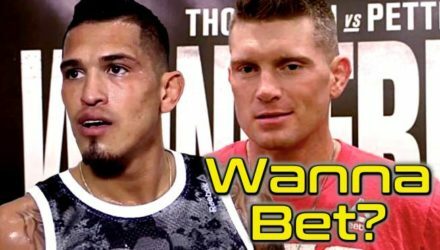 Can Anthony Pettis upset Stephen Thompson at UFC Nashville and make a run at the welterweight title? 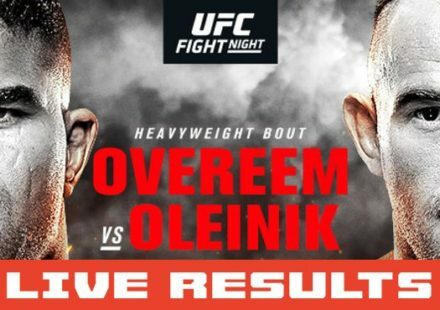 You wanna bet on that? 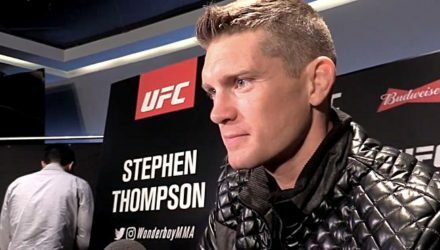 One of Stephen Thompson's biggest motivators ahead of his Anthony Pettis bout is the possible reward of headlining the first UFC in South Carolina. 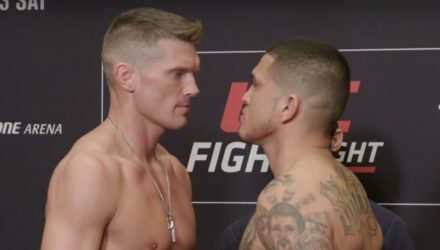 Following Friday's official weigh-in, the fighters competing on the UFC on ESPN+ 6 fight card faced off with their opponents. 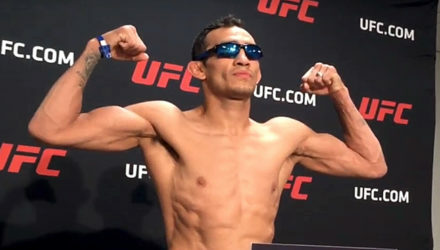 The 24 athletes competing on the Saturday's UFC on ESPN+ 6 fight card officially weighed in on Friday with one fighter missing weight. 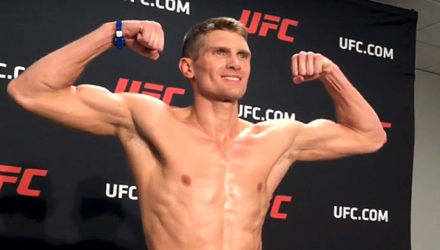 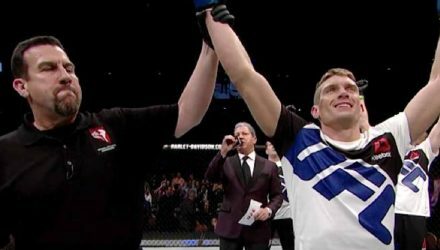 Check out a list of the top 5 performances from fighters on the UFC Nashville card on Saturday featuring Anthony Pettis and Stephen Thompson. 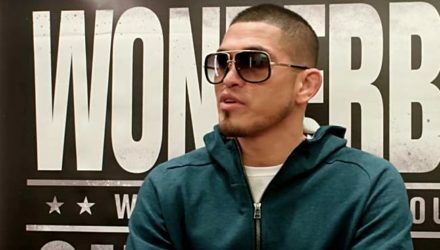 ESPN MMA reporter Brett Okamoto sits down with Anthony "Showtime" Pettis ahead of his fight vs. Stephen "Wonderboy" Thompson at UFC Nashville. 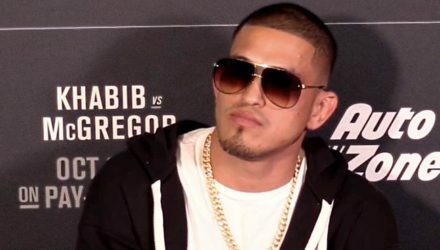 Former lightweight champion Anthony Pettis looks forward to the new challenges moving up in weight presents, including his matchup with Stephen Thompson. 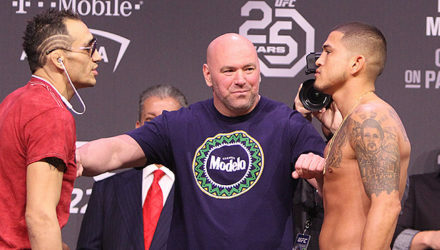 Former UFC and WEC lightweight champion Anthony "Showtime" Pettis is apparently considering a move to welterweight. 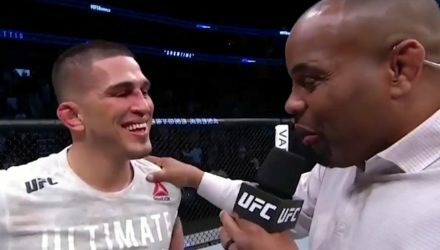 Joe Rogan breaks down the UFC 229 co-main event battle between Tony Ferguson and Anthony Pettis. 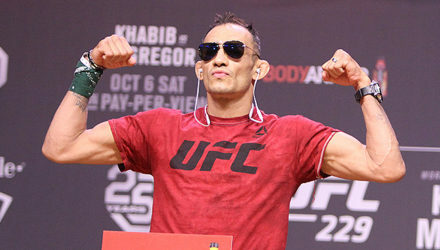 Tony Ferguson and Anthony Pettis' UFC 229 co-main event bout got the green light on Friday as both men made weight. 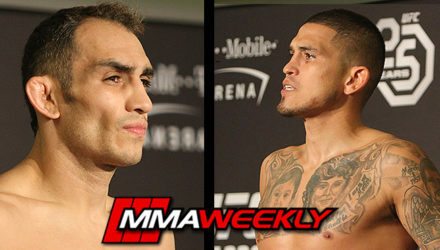 Former interim lightweight champion Tony Ferguson sits down ahead of his co-main matchup with former lightweight champion Anthony Pettis. 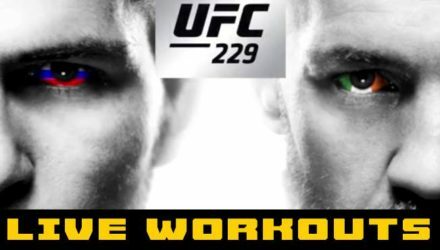 Things got a little fiery at the UFC 229 Open Workout with Conor McGregor, Khabib Nurmagomedov, Tony Ferguson, and Anthony Pettis. 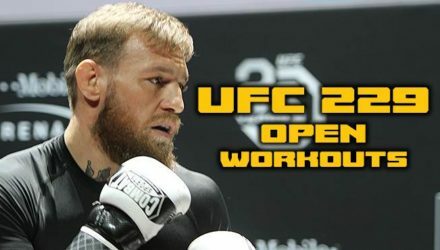 Check out the UFC 229: Khabib vs. McGregor Open Workouts streaming live from Las Vegas. 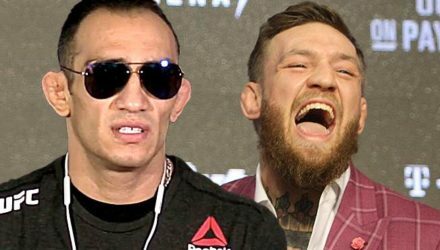 Tony Ferguson gives his breakdown on Conor McGregor's return to the Octagon to face Khabib Nurmagomedov and whom he would rather fight. 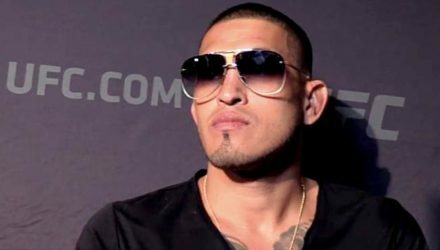 Anthony Pettis spoke to the press about his upcoming fight against Tony Ferguson ahead of UFC 229. 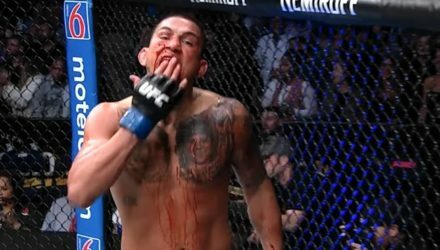 A lightweight showdown between Tony Ferguson and Anthony Pettis is in the works for UFC 229 in Las Vegas on Oct. 6. 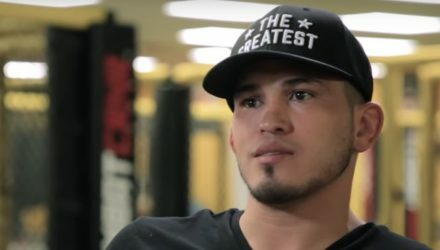 Now that he's back on track, Anthony Pettis doesn't want a Top 10 opponent for his next fight, he's shooting straight for the top. 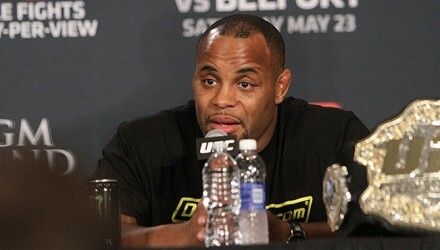 UFC president Dana White announced the fighter bonuses stemming from UFC 226 during the event's post-fight press conference on Saturday following the event.